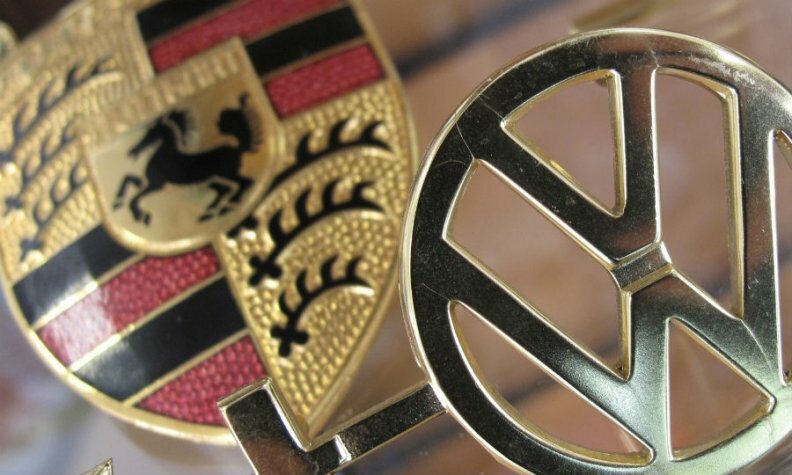 Volkswagen Group Chief Financial Officer Frank Witter was asked whether the automaker would be open to selling shares in the luxury-car unit that includes Porsche and Lamborghini. He didn't say no to the option, which could potentially unlock billions of dollars in value for Volkswagen investors. "It is a legitimate question, without a doubt," Witter said Wednesday, speaking in a Bloomberg Intelligence webinar for investors and analysts in London. The focus for now is preparing Volkswagen’s heavy-trucks division for a potential IPO, and making the group's 12 automotive brands to work together more efficiently, to boost profit margins and "unleash the potential we have," he said. "Every other consideration might be down the road, but it’s currently not a priority the management is working on." VW Group raked in record sales and revenue last year despite wrestling with the fallout from its diesel-emissions crisis. Still, its stock is down 19 percent this year, and the company's market value has languished at 67 billion euros ($78 billion). Prospects for the auto sector remain clouded amid developing trade wars and a looming industry shift toward electric vehicles and new digital services. Any concrete step toward a partial separation of the high-margin luxury brands that generate some 60 percent of group profit might provide an even bigger catalyst. Earnings multiples for more specialized manufacturers such as supercar maker Ferrari and truck manufacturer Volvo AB are substantially higher than for diversified conglomerates like VW or German rival Daimler. British sportscar maker Aston Martin last week announced plans for an IPO in London. New VW Group CEO Herbert Diess has taken steps that could pave the way for structural changes. VW plans to shift Lamborghini from the Audi unit to Porsche to forge a so-called "super-premium” brand group" that also includes Bentley and Bugatti. That division alone could be valued at more than 120 billion euros ($139 billion) , according to Bloomberg Intelligence senior analyst Michael Dean, almost twice the current valuation of the entire group. But the company has been making progress toward a possible sale of a minority stake in the heavy-trucks division Traton, and the timing of the project remains on track, Witter said. VW’s supervisory board approved a plan to prepare Traton for a share or bond sale. A final decision to go ahead is still pending, but appears largely a formality as representatives from all key stakeholders and unions have voiced their support.